Reports from Iran indicate that it has initiated a campaign to reign in its profiteering PEPs. Arrested this week was billionaire Babak Zanjani, for "financial crimes." 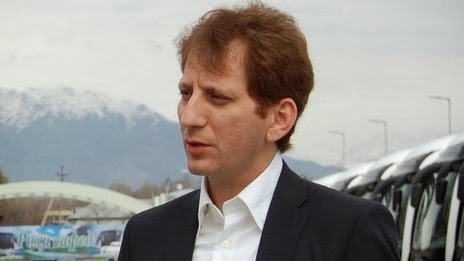 Zanjani, who engineered the sale of Iranian oil in global markets, notwithstanding international sanctions, is accused of failing to pay the government $1.9bn, that it is owed on the transactions. He alleges that international sanctions, in place against the Central Bank, and government-owned financial institutions, have prevented him from remitting payment. Zanjani is being detained at Tehran's notorious Evin Prison. He has previously stated that he employed sixty companies, all located in Turkey, the United Arab Emirates, and Malaysia, to consummate the illicit transactions. A number of former government officials, and prominent businessmen, most of whom are Politically Exposed Persons (PEPs), are linked to Zanjani. Not known is the extent of the relationship between Zanjani and Reza Zaraab, the Iranian businessman arrested in Turkey, who is at the center of the oil-for-gold corruption scandal we reported on earlier this week*, though both parties have admitted it exists. Whether Zaraab's money laundering program was a part of Zanjani's organization, as some sources insist, cannot be verified. It remains to be seen whether Iran shall now seek to control the extraordinary income enjoyed by some of its PEPs, who have been taking obscene profits through their participation in sanctions evasion, and who are fostering the growth of corruption in Iran, as well as in other countries. *Why is OFAC so Late to the Party in Turkish-Iranian Sanctions Evasion Scandal ? Do you have any Lebanese expats in your client base ? Of course you do, but have any of them deposited exactly $25,000, perhaps in cash, this year ? If so, you may have unwittingly participated in laundering a $25,000* survivor payment, made by Hezbollah to the immediate family, or next of kin, of a Hezbollah agent, killed in action in the Syrian Civil War, fighting on the side of the Assad Regime. 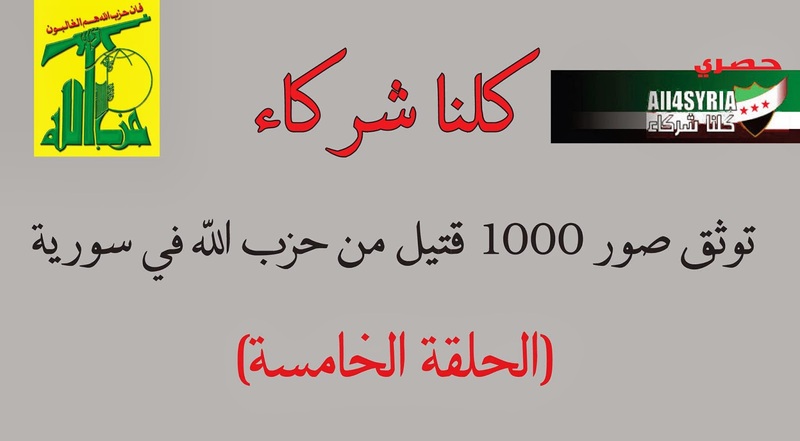 The payments, which are in essence hush money, are given to ensure that the relatives of the dead do not publicly mourn their dead, and thereby expose the true extent of Hezbollah involvement in Syria. 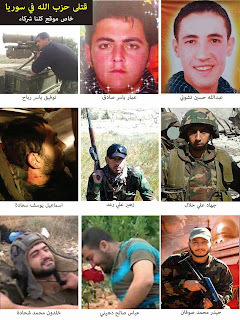 Though it is estimated that approximately 300 Hezbollah fighters have been killed in combat in Syria, the true figure may be substantially higher, and Hezbollah is taking a lot of heat in Lebanon, from Sunni and Christian political factions, over its deployments there. It does not want any more publicity about the matter, and widows and children of deceased fighters are being silenced through the payment of what is actually blood money. If you do find such a deposit, you should notify your compliance officer or MLRO forthwith, so that an enhanced due diligence investigation can be initiated, and, if necessary, a SAR filed. There are photos of 90 deceased Hezbollah fighters on the Internet; we show some of them here to demonstrate the extent of the organization's involvement in the Syrian conflict. * Where these greenbacks are coming from is anybody's guess, but I fear that, given that the current government in Turkey has allowed Hezbollah to invest in businesses there, I assume that Turkish banks are the source for the cash, though it is possible that Iraqi banks are involved, given their access to cash. 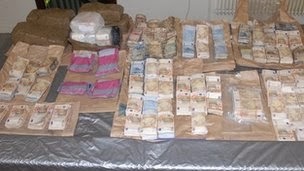 More than one million Euros, in cash, were seized from a dryer in Ireland, proving that money laundering, in its most primitive form, is alive and well. A criminal organization, which had JUST dug up their stash of cash from a rural location, was using a portable dryer to make their loot presentable, when local law enforcement swooped down and made the seizure, literally in the field. Obviously, the criminals forgot that one should perform this act in the privacy of their local laundromat. WHY IS OFAC SO LATE TO THE PARTY IN THE TURKISH-IRANIAN SANCTIONS EVASION SCANDAL ? 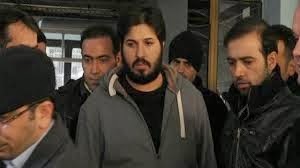 His name is Reza Zarrab, though he has been known by a number of aliases*, A prominent Iranian businessman who secured Turkish nationality by allegedly paying bribes to senior immigration officials, he was arrested on December 21 in Turkey, and charged with a number of serious offenses. Why is this important to Western bankers ? He may have been the most prominent Iranian money launderer, and facilitator of Iran sanctions evasion, since the United States and other countries imposed widespread sanctions. The question is: why is he not on the OFAC Specially Designated Nationals [SDN] list ? Turkey is currently embroiled in a major corruption scandal, which reaches into the offices of several of its ministers (three of whom were sacked this week), and even into its Prime Minister, whose son is also reportedly implicated. Three of the sons of sitting ministers have been arrested, together with the CEO of government-owned Halkbank, who had $4.5m, in cash, in a number of currencies, hidden in a shoe box in his home. (A) Turkey wanted to purchase oil and natural gas from Iran, but was prevented by international sanctions from paying for it in cash. 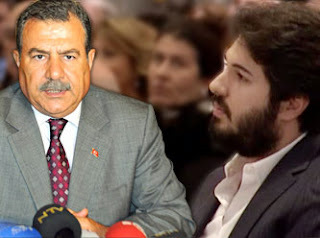 (B) Zarrab, whose father is linked to former Iranian President Ahmadinejad, opened a business for the purchase of gold in Turkey. (C) Iranian oil & natural gas flowed into Turkey. 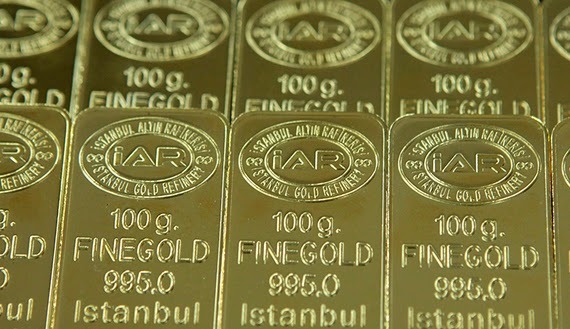 (D) Turkish Lira, deposited in Halkbank, was used to purchase gold, which was smuggled into Iran, and also China. 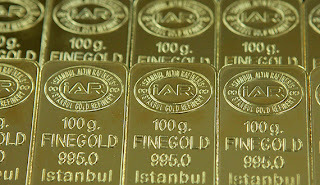 (E) The proceeds from the sale of the gold were used to pay for the energy purchases, thus evading sanctions. Bank Mellat, a sanctioned Iranian Government-controlled bank, was involved. (F) Bribes were paid to the Turkish Energy Minister, including a $350,000 watch. 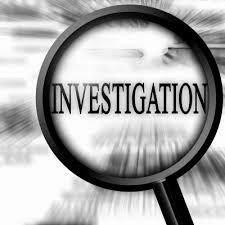 Some sources claim that the Prime Minister was also a recipient, and that is the reason wht he is opposing the current investigation. Azeris. 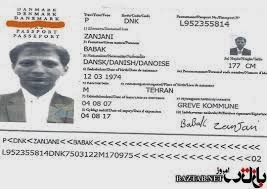 Zarrab, while Iranian, is known to be an ethnic Azerbaijani. Even with my limited access to Turkish money laundering information, I have known for over two years that Zarrab was implicated in a gold smuggling & money laundering enterprise, so we must assume that US regulators and law enforcement agencies also have that intelligence. So why has there been no OFAC designation ? It is even more egregious that no SDN designation has been filed since Zarrab's December 21 arrest. His three companies should have been listed, together with the names of his accomplices. Inasmuch as Turkey has now become a primary facilitator of Iranian sanctions evasions activity, compliance officers at international banks that rely upon OFAC deserve no less. 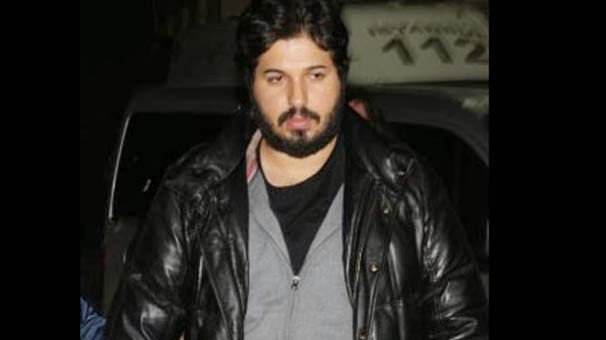 *Reza Zarrab, whose Turkish identity is Risa (or Riza) Sarraf, is also known as Reza Zerrab, and Reza Zarrabzaded. 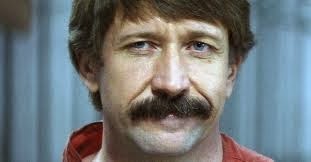 WHY NO ACTION IN VIKTOR BOUT'S CASE ? "On October 16, 2013, the Appellant filed a Petition for Rehearing En Banc . By Letter dated November 4, 2013, the Appellant requests permission to withdraw his pending motion for Rehearing en Banc. IT IS HEREBY ORDERED that the request is GRANTED, and the Petition is deemed withdrawn." The Court also issued its Judgment and Mandate on that date. Bout's new counsel has not taken any action to date, notwithstanding the numerous Russian media statements about taking his case to the Supreme Court of the United States, both to obtain a new trial, and to ease the conditions of his incarceration. 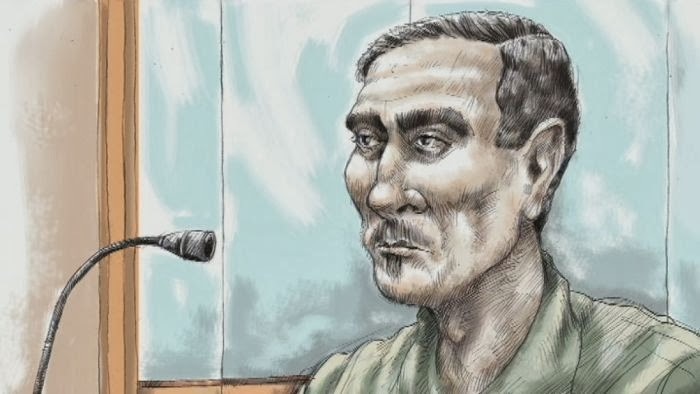 If they were waiting for the Richard Chichakli case to go to trial, before moving forward, that case ended in a jury verdict against Chichakli. Considering that there have been numerous allegations that new and compelling evidence will be revealed, we anxiously await the Supreme Court petition. 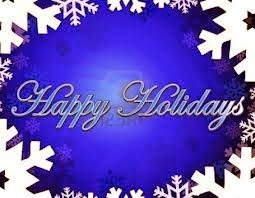 We are off duty this week, but wish our readers a happy and healthy holiday. The blog will be publishing new articles again next week. ROSEMONT FINANCIAL CASE: WAS JUSTICE SERVED ? 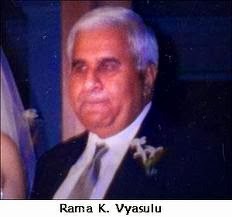 His name is Ramakrishna Vyasulu, a Venezuelan national of Indian extraction, and he was the front man for a trio of wealthy Venezuelans who owned Miami-based Rosemont Financial Corporation. The company serviced Caracas broker-dealers and money service business that profited from the lucrative Venezuelan "Permuta" parallel Dollars-for-Bolivars currency exchange market, which was the largest cash seizure to date in the United States. Vyasulu offered what are referred to as sub-accounts, whereby the Caracas firms could run their money through his Bank of America accounts, without registering as a money service business, with FinCEN or the State of Florida. In any event, that is what he told his clients; they understood that they operated under his umbrella of protection. Unfortunately, when you trust your financial professional, rather than your attorney, with legal opinions, you make a major error in judgment. Never solicit information on the law from anyone who is not professionally qualified, and competent to render a legal opinion, lest you pay dearly for that mistake later on. When Vyasulu was stung by the DEA, whose Massachusetts-based agents claimed to be drug traffickers seeking to launder $900,000, not only was he arrested, a Federal Judge froze more than $150m, in two dozen sub-accounts, belonging to his all clients, and their customers. A nightmare for any financial service firm, to say the least, the type of problem that can be fatal to its continued existence, and was for some of the client companies. Admittedly, Rosemont's clients violated both Federal and Florida law, by failing to register at an MSB, but what happened next was horrific; the US Attorney's Office in Boston demanded, and got, a sizable piece of each customer's seized account, in civil settlement, in settlement negotiations that can only be described as difficult and tedious. The customers' lawyers really had no choice, for to litigate the forfeiture, which would cause further delays, and potentially result in a total loss of their clients' accounts, (which were in the millions of dollars), for the prosecutors were alleging that there was drug money in the accounts. The result was a huge cash settlement for the United States. Was this a just result, and were the settlement amounts not excessive ? You be the judge. Then, to add insult to injury, the perpetrator of this nightmare, Vyasulu, who assisted US law enforcement, and then cooperated against his former clients, was allowed to plead guilty, and receive a sentence of only one year and a day,* plus two years Supervised Release. He pled guilty to money laundering, and two counts, of aiding and abetting, yet only received an extremely short sentence, as a reward for his Substantial Assistance. This past summer, Vyasulu's attorney, with the cooperation of the US Attorney, quietly obtained an early termination of his Supervised Release. Instead of the two-year period, It was reduced to one year, which he had already served. There was no announcement in the press; the Caracas brokers who had to agree to surrender huge sums from their seized accounts probably still do not know that Vyasulu did not miss a step, he is now back in Miami, and back at work. Why was he not deported ? Should the Rosemont customers have been forced to agree to obscenely high settlements of what were only minor transgressions of US law ? Investigations of the accounts showed that these were all legitimate businesses, with one exception, and the drug money fears failed to materialize. Did the monetary settlements constitute cruel and unusual punishment ? It appears that nobody has stood up to ask the tough questions; I wonder why. * This is an example of another favor granted to the defendant. The extra day in his sentence allows him to qualify for two months' gain time, which is deducted from the period he must be incarcerated. Last week's corruption scandal in Turkey, which included the arrests of the president of a state-owned bank, and the sons of two ministers, together with the dismissal of a large number of chiefs of police, has resulted in an ugly anti-American backlash. The US Government, and the American Ambassador specifically, have been targeted as being responsible for the country's crisis, which is a conflict between two opposing political factions, locked in a power struggle. This could spell the end of democracy in Turkey. Add this chaos to the fact that several Turkish banks, including those that are state-owned are alleged to be assisting Iran in evading global sanctions on WMD and ballistic missile component purchasing, and you have a perfect storm for Country Risk. We have already reported the increased risk levels posed by the movement of five Turkish banks into Iraq, where Iranian transactions can be effectively concealed from Western banking compliance officers. 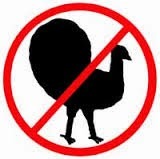 Check out the articles on Turkey previously posted on this blog. American financial institutions and businessmen in particular should be alert to potential trouble in Turkey, as the government seeks to find a scapegoat for its troubles. While Turkey has rarely, in the past, cast blame upon foreign influences, as is often the case in Arab countries, this new campaign, waged in the press, with open government sponsorship, is disturbing. Turkey has, in recent moths, moved closer to Iran, a development that further validates a substantial increase in Country Risk. It is suggested that you watch the actions of the Turkish Government closely, during the coming week, and seriously consider reducing your bank's financial risk, and advising your clients accordingly. A tech firm, from India, has apparently extracted some of my blog entries, and created what seems to be a garbled attempt to market to any blog readers who are searching for specific articles. They are, strangely enough, using the website of the Hotel Romeu & Julieta, in Fortaleza, Brazil. 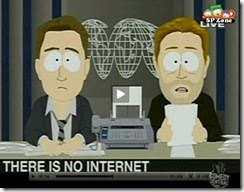 I wonder how long it will be before the hotel catches on, and raises web security on their site. Remember, there is a blank search box on the upper left-hand corner of the blog; you can use it to locate any of the content on my site. Here's what the hotel looks like; perhaps they will now wake up to the hacking of their site. 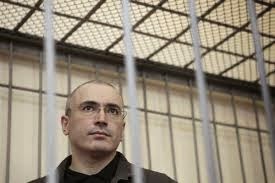 Amid all the celebration over the Pardon of Mikhail Khordorkovsky, let us not forget that he spent a decade in harsh Russian prisons, mainly in Siberia, on what were obviously political charges. He was selectively prosecuted because he was deemed a threat to the existing leadership in Russia. Remember that when you calculate Country Risk levels for Russia, when you decide whether to advise a client to invest there, and when you send someone into Russia, for any business purpose, for they may agitate your competition, or the government, and end up with assets confiscated, or worse, incarcerated on trumped-up charges. (A) He has made a Motion for a New Trial, pursuant to Rule 33, Fed. R. Crim. P. He has not alleged newly discovered evidence; his counsel's filing points solely to the record. (B) He has moved for a Judgment of Acquittal, pursuant to Rule 29, Fed. R. Crim. P. He has not specified any grounds; the rule requires the Court to grant the motion if the evidence at trial was insufficient to sustain a conviction. (C) He has moved to Arrest the Judgment, under Rule 34, Fed. R. Crim. P., stating that there was a lack of jurisdiction, and that the Grand Jury Indictment was defective. Though his Stand By Counsel has filed a short supporting affidavit, there have been no accompanying memoranda of law filed, in support of these motions, as of 21 December. Is he simply ensuring that there will be multiple issues for appeal, or is there a factual or legal basis for any of these pending motions ? We cannot say, but we will update our readers on the rulings as soon as they become public. Documents leaked by former NSA contractor Edward Snowden, and given to three of the world's major newspapers, indicate that both the United States and the United Kingdom are engaged in communications surveillance upon approximately one thousand individuals, including a number of Politically Exposed Persons (PEPs). We are not just talking about the foreign government officials, and leaders of international organizations, but PEPs in the broader definition of the term: family members and close associates of the PEPs themselves. Given that US law enforcement agencies, as well as intelligence services, now routinely receive access to NSA-acquired data, you should understand that the chances that a PEP who is engaged in criminal activity will come to the attention of law enforcement, have increased. If you are unwittingly banking this PEP, and were deceived into believing that he or she is a private businessmen, you will be seriously embarrassed when an agent comes knocking on the door of your bank with a subpoena. (1)Have you verified their employment ? (2) Have you ruled out the possibility that they are from a government-controlled corporation, or shell company? (3) have you performed an image search, and failed to find a photo of them standing next to government figures, in a social or business setting ? (4) Do they appear to have the level of education and experience you would expect for a senior leader of a private company ? (5) Are there persons in government, in their country, with the same middle or last name ? Do not let a hidden PEP open an account with you, please. You will regret it later. HOW MANY NATIONAL SECURITY LETTERS ARE BEING USED FOR PURELY CRIMINAL INVESTIGATIONS ? The advisory group that has delivered suggestions to President Obama on NSA and privacy issues has recommended that there be judicial approval of National Security Letters, which currently can be issued by a government agency, without any court oversight. These valuable investigative tools were intended to assist law enforcement, and other government agencies, acquire information related to terrorism or espionage, or for intelligence that is linked to these subjects. The unspoken question about NSLs is how many are being improperly used; since there are no checks and balances, reports have surfaced that some agencies are guilty of using them in criminal investigations that are totally unrelated to either terrorism or espionage. Has there been widespread abuse ? Given the fact that recipients of NSLs cannot ever disclose the fact that they have been served with these requests, the answer is impossible to obtain, but anecdotal information indicates that there have been many, many violations of the limitations placed upon this critical discovery tool. Is that why the advisory group has recommended judicial approval be obtained ? The grounds for their recommendation should be publicly aired, so that the public is informed. WILL FEDERAL COURT RULING AFFECT MONEY LAUNDERING CONVICTIONS ? This week's US District Court decision, which held the universal NSA surveillance of domestic communications violates the 4th Amendment of the US Constitution, could, if affirmed on appeal, potentially affect the validity of money laundering convictions obtained, in part, through law enforcement use of that surveillance. Should the decision survive, you can expect diligent defense attorneys to seek to learn whether any portion of the law enforcement investigations that resulted in money laundering convictions of their clients, resulted from NSA surveillance intelligence that was furnished to those agencies. Could a constitutional argument properly be made to exclude evidence used to convict ? 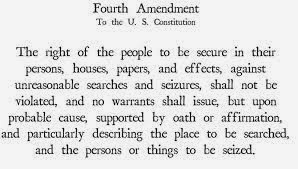 Even if the convictions are reversed and remanded, for new trials, the scope of the role of the NSA as an asset to US law enforcement, will become general knowledge, and you can expect even more pressure on the Congress to enact legislation restricting it. Let us hope that all those convicted money launderers, many of whom laundered millions of dollars in drug profits, are not released. This week's transport, of Russian tactical Iskander-M missiles, into its Kaliningrad exclave, serves not only to increase the risk of accidental war in Eastern Europe, but to raise Country Risk in Poland, Lithuania, and Russia. I think we have seen enough of Russian saber-rattling; are there no rational leaders left in Russia, Mr. Putin ? 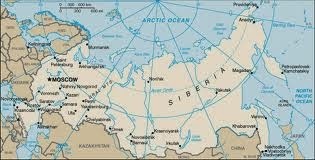 All that this will do is increase tension between NATO and Russia, and thereby raise Country Risk in the region. 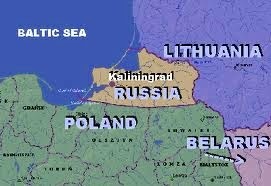 If you know your history, Kaliningrad is territory that was never ethnically Russian. Given as the spoils of war, in 1945, pending the final determination of the Polish frontier, it was formerly part of East Prussia. Poland appears to have the best historical claim to the territory. Now that the Soviet Union is no more, the territory, which has a right to self-determination, should be returned to Poland, in my humble opinion. It also needs to be properly renamed. The Russians need to abandon this Cold War relic. Richard Chichakli, the Syrian-American CPA and fraud examiner whose long partnership with Viktor Bout, in an aviation smuggling enterprise, for both friend and foe, placed his activities under a global microscope, has been convicted by a jury, in US District Court in New York City. The defendant, who insisted in representing himself at trial, faced clear and convincing evidence that he, and Bout, while under American sanctions, had attempted to purchase Boeing aircraft for export. (2) One count of Conspiracy to Commit Wire Fraud. (3) Six counts of Wire Fraud. If the Court, at sentencing, chooses to run the courts consecutively, instead of concurrent, he could spend the rest of his life in a Federal Prison. Bout, who was his co-defendant, but could not be tried at this time, due to to US laws on extradition, is already serving a 25-year sentence, for his participation in a conspiracy to sell surface-to-air missiles to the FARC. Though Bout and Chichakli are obviously guilty of a long list of criminal offenses, perpetrated during their "careers" of shipping arms into conflict zones, which included long civil wars in Africa, and supporting dictators involved in crimes against humanity and war crimes, there are bigger issues at play, which deserve a public forum. First of all, how extensive was the relationship between Bout & Chichakli, and US agencies, whether they be law enforcement or intelligence ? There appears to be a concerted effort, by the United States Government, to cover up what individuals with personal knowledge assert was a long association. Was that association active when Bout met with DEA agents who succeeded in perpetrating their missile purchase sting operation, and was he acting within the scope of his employment ? If so, is Bout entitled to a new trial ? The answers to these questions should be provided to the Court, free of any "classified information" subterfuge. Second, what about Bout's allegations, that he was specifically targeted, due to the fact that he had committed multiple offenses, while under the protection of an American agency, and therefore could not be prosecuted ? Crimes perpetrated under the umbrella of American intelligence service, which generally carry the proverbial "Get out of Jail Free card,"are deeply resented by law enforcement. Bout alleges that he and Chichakli became the subject of a concerted, directed effort to tweak the nose of our intelligence agencies, by arresting some of their private contractors. Chichakli was not charged until after the US obtained Bout's laptop, after his arrest. Were these cases really selective prosecution, and if so, how will this ultimately affect the validity of their convictions ? Our intelligence agencies, and our government, are not anxious to reveal the extent to which unsavory individuals perform tasks, covertly, on its behalf. These are dirty jobs that are often a necessary evil, but which many Americans would find offensive, immoral, illegal, or distasteful. Our law enforcement community understandingly takes offense; and I do not blame them. It is a morality issue, wrapped inside a legal dilemma. Inter-agency rivalry among America's many Federal agencies, whether for budget dollars, publicity over their successes, or expansion plans, is a fact of life, but these competing agencies should not take out their anger on the individuals who are working for the other agencies, and who engaged in conduct they regard as criminal. WHERE IN THE WORLD IS DAVID MURCIA GUZMAN ? He's not in the Bureau of Prisons Inmate Locator database, which means that he is not in a Federal Prison or Camp. Some sources say he is in WitSec, the Federal Witness Protection Program, for providing assistance to US law enforcement; some report that he has been seen in public, but since he owes the Republic of Colombia several years of prison time, and since Panama reportedly wants to reopen his case there, it might be nice if we knew what the story was. Can any of our readers tell us where he is these days ? Some sources state that he cut a deal with US authorities, and has been released. He is not going to be transferred to Colombia, to start serving his sentence there, nor will Panama proceed with its threats of a reopened case. Is this true ? 'And what happened to the manuscript of the tell-all book he was reportedly writing ? I am referring to the book, alleged to implicate high-ranking Panamanian officials, which we reported on here some time back. 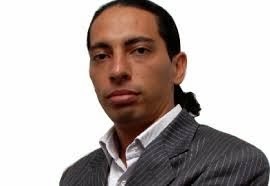 Has David Murcia cheated Colombian justice ? 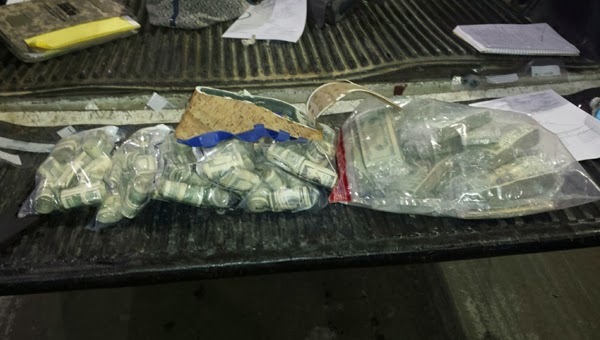 Officers from Alabama's 17th Judicial Drug Task Force seized $386,900, which was in the possession of three Mexican nationals traveling on a Mexico-bound passenger bus on I-20/I-59, near Cuba, Alabama, which is on the state line with Mississippi. 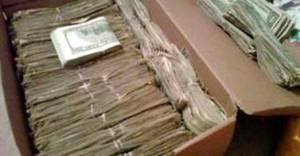 The individuals transporting the cash, which was found in their suitcases after a K-9 unit located them, denied ownership. They were taken into custody. If you have been following my articles, you know that the United States Attorney's Office in New York has gone to great lengths to keep Richard Chichakli from discussing a specific operation, conducted by his codefendant, Viktor Bout, in Africa, taking the position that it is not relevant, nor that it will, in any way, assist him in his defense. That may be true, but the details would certainly open the public's eyes to the extent of Viktor Bout's relationship with a certain American government agency, and that may be the underlying reason why Bout was approached by another agency, the result of which was the indictment for attempting to traffic missiles to the FARC. Viktor Bout's Russian attorney believes that his client will get a reversal of his criminal conviction, and a new trial, for a number of yet-unspecified reasons, and some observers believe the case was initiated solely due to a major inter-agency rivalry, involving alleged criminal activities being conducted by one agency, which the sister agency bitterly resented. According to information obtained from a reliable source, whom we shall refer to here as Dragon, in 1995, an agency of the United States Government, concerned that billions of dollars of arms covertly supplied to rebels in Afghanistan, who had forced the Russian withdrawal of its troops, might fall into the wrong hands, and ultimately be used against America, or civilian targets anywhere in the world. A negotiation was initiated, to buy them back. The agreed price was reportedly $200m, and the weapons would be returned to US control, upon payment in full. The sellers were Osama Bin Ladin's organization. 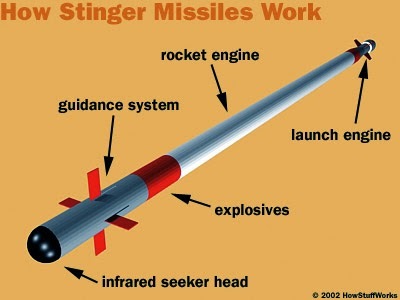 Especially desired were the stockpile of Stinger surface-to-air missiles, which would pose a clear and present danger to civil aviation, operating as a weapon of terror. Viktor Bout's aviation assets handled the transport of the Stingers, from Afghanistan, to Zaire, now known as the Democratic Republic of the Congo (DRC). The missiles were then taken into custody by the purchasing agency. Their ultimate disposition is unknown. Bout had been engaged in the widespread delivery of US food products* throughout Africa, in behalf of a US Government agency. He later assisted US Armed Forces with the transport of supplies into Iraq. There is little information available on who was involved in the missile transaction, other than that a New Jersey-based lawyer named Richard H. Davies reportedly handled the payment, and, allegedly converted the entire $20m commission to his own use. He is believed to have been a government contractor while he was in command of the financial aspects of the operation. Public Records show that a person of that name from Bergen County was disbarred in New York in 1999**. Many of the other players are dead; we will get to those who still work in the shadows in a later article. (1) Was, as he claims, Viktor Bout, operating under the supervision of a US agency when he became involved in the case which resulted in his conviction ? 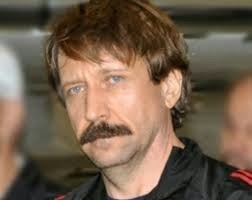 (2) What other issues do Viktor Bout's attorneys intend to present in his efforts to obtain a new trial ? 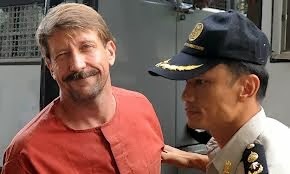 (3) Was the Viktor Bout sting payback, from one agency to another ? Was Bout targeted because of whom he had done contract work for ? * American chicken products, known as "Bush Legs." ** Matter of Davies, 253 AD 2d 243, 687 NYS 2d 659 (1999). Details of how Chinese Government officials persuaded Israel to withhold the attendance of an Israeli, formerly in their government, who would verify that the Bank of China was advised early on about Hamas accounts in the bank, are extremely disturbing. Requested in connection with a pending Federal civil action against the bank, the facts unfortunately portray the Bank of China as an institution that provides financial support to terrorism. Assisting designated a terrorist organization in moving funds in international commerce, in support of its global operations, leaves us to wonder whether other terrorist clients are allowed to bank there, and if so, who they are. 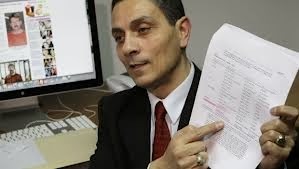 The prosecutors in the Richard Chichakli case have filed an extensive memorandum of law, the purpose of which is to seek to preclude the defendant from offering certain evidence at trial. At issue is the admissibility of testimony that Mr. Chichakli wants to offer. (1) To prevent Chichakli from offering evidence of his efforts to cooperate with law enforcement, after he left the United States in 2005. (A) In 2006, the defendant contacted US law enforcement, and offered to give evidence against Viktor Bout, regarding weapons trafficking in and through the democratic Republic of the Congo (DRC). His goal was the removal of the OFAC sanctions placed against him by the US Treasury. He never executed the proffer, which required his signature. (B) In 2010, Chichakli again offered to assist the United States, by offering to testify against Viktor Bout; he wanted the pending criminal charges against him dismissed. The parties never came to a final agreement on the terms. (2) To prevent Chichakli from eliciting his own out-of-court statements, through direct and cross-examination of witnesses at trial. The Government's position on the first issue : not relevant, and even if it was relevant, it will confuse the jury. 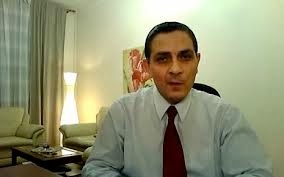 Chichakli cannot offer it as an indicator of his innocence, because he only came forward after his OFAC sanction, and his indictment; and he did not turn himself in when he was indicted. On the second issue: irrelevant, and hearsay. His prior out-of-court statements, made to law enforcement, were self-serving and exculpatory, and constitute inadmissible hearsay. 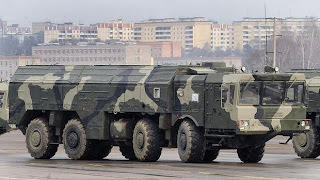 The Democratic Republic of the Congo matter, which is not public knowledge, and which confirms that Bout was working on behalf of the United States Government, in a crucial weapons delivery, will be covered here in detail tomorrow. When a ruling is issued on these issues, we shall advise our readers. HOW CAN WE DEVELOP MORE COMPETENT MONEY LAUNDERING INVESTIGATORS IN LAW ENFORCEMENT ? It was an extremely important money laundering investigation: interdicting $300m in US currency, in the hands of corrupt Iraqi PEPs (who had stolen it), that was to travel via vessel, and then overland, to Europe, to be ultimately placed in accounts in Switzerland. The plan was to employ an agent in an undercover capacity, working with a Cooperating Individual, to effect the seizure en route. So who did the Federal law enforcement agency assign to the project ? An agent who was a former university sports star, and whose only prior law enforcement experience was as a small-town Deputy Sheriff. He had neither an advanced degree, nor any experience in handling complex money laundering investigations, nor had he handled any prior bulk cash smuggling cases. What's wrong with this picture ? The rapid expansion of American law enforcement agencies after 9/11, including the creation of new agencies, has resulted into the assignment of agents, to money laundering investigations, that have neither the education, training or work experience to tackle. Many are former local and state law enforcement, or with military experience, but they generally have no business degrees, have never worked in the financial sector, and are not going to catch the money launderers, or seize the money. The private sector has qualified human resources, but US Government salaries are so low that those individuals are not going to consider leaving their positions for government service, where they might have to relocate, travel often, and have to deal with a culture that often resists new ideas, all to take a pay cut. Meanwhile, the majority of the Western Hemisphere's money launderers continue to service their criminal clients. If you were paying close attention to the news from Russia this week, you may have seen that Mr. Putin has dismantled, and reorganized, certain government-owned news services. This in and of itself is not newsworthy, except for the fact that these now-defunct news services often ran information about the Opposition to the government, as well as some negative news, items which you as a due diligence investigator need to assess client and/or Country Risk. The new versions are expected to totally toe the government line. This is, unfortunately, just one less information source about Russia and Russian entities for compliance officers searching for information relevant to their bank's prospective clients, or potential new business. It has become increasingly difficult in recent years to obtain the bare minimum of business intelligence as is necessary to make an informed compliance decision on new Russian clients coming into your bank. While the FARC and the Government of Colombia continue their marathon peace talks in "neutral" Havana, the designated terrorist organization, rather than avoid military contact with Colombia's armed forces, has taken a page from the vile Al-Qaeda playbook in Iraq. 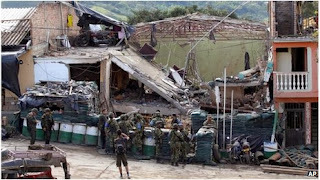 This week, a FARC car bomb demolished a military headquarters/police station at Inza, in Colombia's southern Cauca Department. The result: eight killed, and twenty wounded. The dead included army officers, a policeman, and civilians. The use of car bombs in the Western hemisphere is disturbing; are there elements in the FARC that fear a reconciliation with the government , which will result in the termination of the organization's massive drug trafficking business, and do not want to give up that lucrative billion dollar cash center ? Whatever the reason, the use of such brutal, non-discriminating tools of violence as the car bomb could derail peace talks, invite new Colombian Army campaigns in the FARCs active areas of operations, and even anger the Colombian civilian population to the point where it brings pressure to bear on the government to simply wipe out the FARC as an effective military force, as was done to the Tamil Tigers by the Government of Sri Lanka. 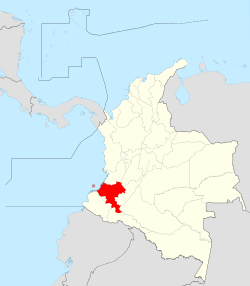 Remember, the FARC is reeling from massive desertions, attacks by the Colombian Air Force, and the death of several of their senior leadership. Fifty years in the jungle have taken their toll; hence the peace conference. If we see any other examples of pure terror tactics, Country Risk for Colombia, which has been greatly reduced of late, may increase in 2014. Let us hope that this solo car bomb does not represent the shape of things to come in Colombia. ARE TWO LEBANESE BANKS ABOUT TO BE SANCTIONED BY OFAC ? Lebanese media is reporting that a prominent Kuwait newspaper alleges that two major Lebanese banks will shortly be designated with US sanctions. Given that American government officials have been warning repeatedly, in their trips to the Middle East, of the consequences of dealing with Hezbollah, such actions were bound to occur, sooner or later. 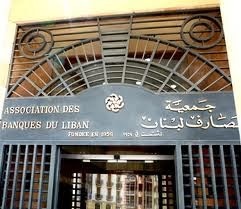 The Association of Banks in Lebanon has asserted that its members are in full compliance with US anti-terrorism regulations. If that is the case, then how is Hezbollah managing to move drug profits it earns in Latin America through Panama, and on into Beirut, with impunity ? Compliance officers at US and EU banks whose clients have substantial business in Lebanon, and whose banks have multiple correspondent relationships with Beirut institutions, may want to monitor the Treasury OFAC website, or this blog, for further information. 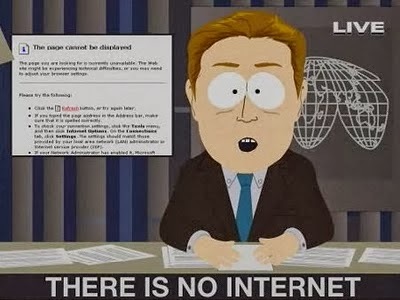 The present government of Venezuela, in a futile effort to hide reporting of the country's massive economic problems, has been censoring the Internet, by ordering the country's Internet Service Providers to deny access to websites that quote currency exchange rates, and economic information. This means that Internet information searches, within Venezuela, for due diligence purposes, are basically useless, as compliance officers have no way of knowing whether their government has blocked access to critical negative information that is necessary to accurately assess risk levels of their customer. This, in essence, means that Venezuela has now joined China as a country where the Internet cannot be trusted as an information resource. There's more; the desperate Venezuelan Government even went after a site that allows users to construct a "shortened" URL for a specific web address. Such tiny URLs are often posted on social network websites, to widely and efficiently disseminate important information on a global basis. The government's position: that websites that show such negative information are waging "economic war" against the country. 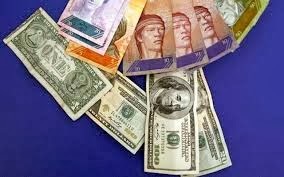 The unofficial rate of exchange between the US Dollar and the Bolivar has skyrocketed to over ten times the official rate, as the country moves closer to and closer to economic meltdown. Should you recommend that no new business venture, or major extension of credit in any form, be observed regarding Venezuela ? If you cannot accurately vet the new client, you cannot accept him, as your Customer Identification Program cannot trust what information is available. Internet censorship, no matter how specific it is, since it covers economic data, operates as a blanket disqualifier for Venezuela. You should not approve any new business exposure there, unless you want to assume the risk that you might later sustain a total loss. IS THE SECRECY IN THE RICHARD CHICHAKLI CASE REALLY ABOUT VIKTOR BOUT'S OTHER ACTIVITIES ? The Court, in the ongoing case in New York District Court against Bout associate, Richard Chichakli, recently* entered a protective order, regarding certain Discovery. Apparently, the US Attorney's Office filed, on October 2, and November 7, two Ex Parte motions, directed to discovery that the prosecutors stated involved classified material that should not be released to Chichakli, pursuant to the Classified Information Procedures Act (CIPA). (1) The classified information in the materials was not discoverable, under Brady v. Maryland, meaning that it does not contain information relevant to either guilt or punishment. (2) The classified materials were not relevant or helpful to the preparation of the defense, citing United States v. Aref**. It appears now that there is certain information, which was contained upon Viktor Bout's laptop computer, and seized by DEA at or after his arrest in Thailand, that the United States does not want exposed at trial, strictly on national security grounds. Now, while Viktor Bout thought that he was dealing with agents of the Colombian FARC, in his offer to sell ground-to-air missiles, and other weapons, in truth and in fact, he was selling arms to undercover US law enforcement agents; there were no FARC. It is therefore doubtful that there was any information, on the laptop, about the FARC, so what else could have been on the hard drive that the US Government is anxious to keep from public view ? The blunt truth is that, to the embarrassment of the US, Mr. Bout, and probably in concert with Mr. Chichakli, performed operations on behalf of certain US Government agencies, in Iraq, and elsewhere. The details of those operations, coming on the heels of disclosures made by a number of whistleblowers this year, might further erode America's standing, and prestige abroad, with even its closest allies. How much work Bout, the co-called "Lord of War" did for the United States, notwithstanding his arms-trafficking reputation, may also reflect poorly on those agencies that engaged his services, when they are already reeling from poor public perception of their ethics and track record. Do not forget that Viktor Bout has been placed in an extremely isolated prison environment, one specifically designed to deter any contact with the outside world, especially media. Is there some sort of "smoking gun" on that laptop computer ? We cannot say, but sources have stated, without reservation, that a prior relationship, between Bout and the US, did exist, and some in government do not want that dirty laundry out there. ** 533 F.3d 72 (2nd Cir. 2008) . HOW EXTENSIVE WAS HEZBOLLAH'S CANADIAN SHOPPING SPREE ? Buried deeply in the biographical material regarding the senior Hezbollah leader* assassinated this week in Beirut, is a small note that he procured dual-use materials for the organization in Canada, specifically night-vision equipment, and computers. One wonders what else Hezbollah agents were able to purchase in Canada; There have been persistent rumors of sales and shipments to Beirut. Canada's liberal immigration laws have resulted in a sizable Lebanese expat population in Canada, primarily in French-speaking Quebec Province, where they find how easily they fit in with the French Canadiens. 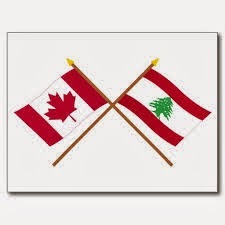 Moreover, there are a number of Canadian "citizens of convenience," who are Lebanese holding Canadian citizenship, but who live full-time in Lebanon. 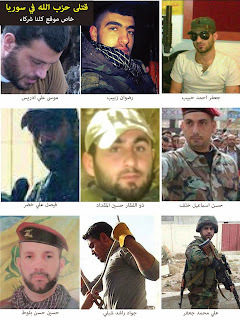 Could some of these individuals be tied to Hezbollah ? My primary concern:s While Canada's law enforcement and security services are currently vigilant regarding possible terrorist activity, did sales of dual-purpose goods going to Lebanon escaped scrutiny, and if so, were the Canadian banks who processed payment for those goods facilitating terrorism ? * One Middle East report states that the deceased commanded Hezbollah's telecommunication network. The Central Bank of China, citing money laundering and financial stability risks, has decreed that financial institutions are prohibited from any commerce involving the Bitcoin. 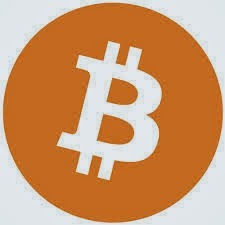 The bank has taken the position that Bitcoins have no intrinsic value, and are not a currency in the real meaning of the word. Private citizens are still allowed to invest in Bitcoins in China, but they are cautioned that they are assuming the risks involved. Chinese investors reportedly are one of the most enthusiastic groups purchasing Bitcoins,which have fluctuated wildly in value since their appearance. Their value declined after the government announcement was made. 'The Chinese move could result in similar actions in other countries, which could affect the survival of the virtual currency. Crimes against the person are out of control in the Republic of Panama. Tourists are the usual victims, but foreign businessmen and professionals are also finding that Panama has become too dangerous for them. Robberies and burglaries have increased exponentially over the past year, and local authorities appear to be unable or unwilling to curb the attacks, some of which are now coming in broad daylight. The most disturbing report came in from an experienced world traveler, who was visiting Panama with his wife recently. They were robbed, of everything of value, and the victim, who knows the difference between amateur and professional criminals, insists that the perpetrators were police officers. After the crime, the uniformed police, without rendering any humanitarian assistance whatsoever, quickly dumped the broke, hungry, thirsty and dirty tourists at the airport, to await their departing flight. 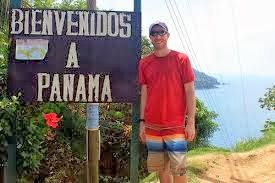 Many of Panama's upscale hotels are now warning their foreign guests to stay indoors at night; my own travel agent, who was brought up in Panama, visited there recently, and was herself unnerved by the crime situation. many expats are openly considering leaving Panama permanently, due to the crime wave in progress. North Americans and Europeans, kindly refrain from seeking to transact financial business in person in Panama, unless you want to bring a personal security contingent, please. If you must come to Panama on business, do not come alone or unprepared. ARE NARCO-PROFITS NOW MOVING INTO MIAMI WITH ITS NEW MEXICAN RESIDENTS ? Miami, which has always been a melting pot for Latin Americans, is now seeing an influx of affluent real estate purchasers from a country not known to have its nationals living here: Mexico. Wealthy Mexican citizens are one of the fastest growing groups of new property owners from Latin America relocating to Miami . It has been estimated that their numbers have tripled in the last three years. Many of these families are wealthy; some are in the high-tech, energy, consumer retail goods fields in Mexico, and all are painfully aware that the battle between Mexican law enforcement, and the narcotics traffickers, will continue for the indefinite future, meaning that there are threat factors there which they can avoid by moving their families to the relative safety of Miami. While Miami welcomes all who wish to live here, given the obscene profits available in the drug trafficking industry, it should be accepted that at least some of this "flight capital" is dope profits looking to be laundered & invested. Bankers, particularly those at international banks with corespondent relationships in Mexico's financial structure, should be in alert, lest narco-profits hidden in shell companies find a home in Florida. 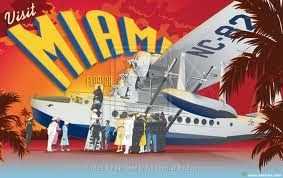 Miami's status as a vacation destination, the presence of expats from all the countries of Latin America, and lack of established society traditions, generally allow any new affluent arrivals to blend in. With an adequate front business, anything goes. This presents a danger to financial institutions who wish to accept some of this new business. It is suggested that, though nationality cannot be the sole basis for increasing your evaluation of the risk posed by a prospective customer, you give any wealthy Mexican businessman, recently arrived in the United States, Enhanced Due Diligence. Watch especially high-end real estate transactions, and purchase and sale of commercial businesses, either of which are routinely used to launder the proceeds of crime.